Our co-host today is Steph from Scarves, etc. She's a fashion blogger, teacher and book lover. I asked her choose today's topic, and it's a pretty cool one. I think she has something cool to share with us today involving books and weddings. Can't wait to see it! Please go over and say hi. When I think of coffee table books, I think of books that grab my interest with the cover and concept. I don't normally think of coffee table books as something you read, but more as a piece of decor. 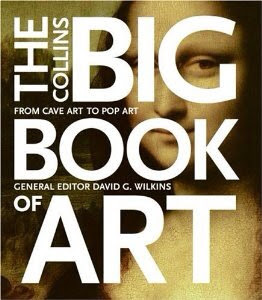 I like the idea of having a coffee table book around that is just nice to pick up once and a while, and browse through. Something my guests will pick up. I like the idea of having books out that say something about who I am. I have a book similar to this one. I love just flipping through it. How could you resist picking this one up? You couldn't. I'm sure there are many, many more out there. I had never really sat down and thought about getting a coffee table book, but now I really want to shop. I'm so glad we had this topic. Thanks, Steph! What are your favorite coffee table books? What's on your wishlist? Next weeks topic: What's the strangest book you've ever read? I have one coffee table book: Boo: The Life of the World's Cutest Dog. It's seriously adorable. I don't know how to make that a link. Sorry. I like to look at coffee table books but I've never owned one. I dont even know where I'd put it lol We've stopped keeping things on the coffee table because Bella has a tendency to knock our drinks over with her giant tail. Messy! 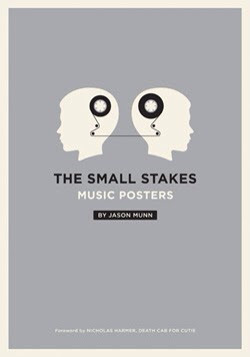 That music poster book looks awesome!! 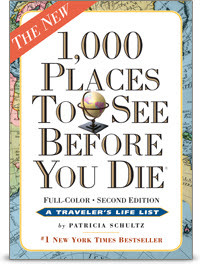 I want to read that 1000 Places to see book right now! I can't wait to have my own coffee table to clog up - it will be Lonely Planet and Postsecret galore!